I’ve blogged about this extensively, so I’m just going to make this short, sweet and to the point. The Catholic Church is in full-blown crisis mode now. It is unparalleled since the Protestant Revolution five-hundred years ago. It’s going to get worse — much worse. The only thing left to do now is protect your family. Get involved in a traditional Catholic parish. This is the best bet you have at surviving this dark time. There are basically three types of traditional Catholic parishes in the Western Rite. The first type is the Traditional Latin Mass parishes. They are currently the most plentiful and easy to find. Below is a video of a Traditional Latin Mass. There are two types of the Traditional Latin Mass: high and low. The high masses are usually reserved for Sundays, while the low masses are usually done on weekdays. The following link will take you to a site that keeps track of where you can find these masses. It only tracks those masses approved by Rome, so you need not worry about schismatic sources. CLICK HERE FOR THE TRADITIONAL LATIN MASS. The second type is the Traditional English Mass parishes. These use the Anglican Form of the liturgy, which is approved by Rome, and has been described by many as something akin to a cross between the Traditional Latin Mass, and the regular vernacular mass. It is most suitable to Catholics who want the traditional aspects of Catholic liturgy, but have no attachment to the Latin language, preferring instead to worship strictly in English. Below is a video of a Traditional English Mass. This is what a typical celebration looks like in a well established parish. This type of mass can only be celebrated in ordinariate parishes and communities, or on occasion where such communities are in formation. The following link will take you to a website that tracks all ordinariate parishes/communities, and communities in formation. CLICK HERE FOR THE TRADITIONAL ENGLISH MASS. Sadly, what we see here is not the norm of Catholic liturgy in North America, or anywhere in the world for that matter. What you see above is the type of liturgy envisioned by the Vatican II Conciliar Fathers, Pope Paul VI, and Pope Benedict XVI. It was not to be. Instead we have a liturgy in most parishes that has been largely made Protestant and Modernist. Liturgy is a form of catechesis. Most people learn less from books and more from doing. Traditional liturgy instructs us through our senses and actions. It acts as a bulwark for sound doctrine and good morals. Where reverent liturgy is lacking, the state of catechesis flounders, resulting in heretical mishaps and moral lapses. If you want good catechesis, you’ll find it in a parish/community that celebrates good liturgy. The two almost always go hand-in-hand. In the months and years ahead, we cannot risk the development of our families in parishes/communities that compromise on liturgy. Get your family plugged into a traditional parish of some kind, and make haste. Don’t wait to see what happens next. Rescue your family while there is still time. Find a traditional Catholic mass, and start attending there regularly. Then support that community with your prayers, talent and treasure. UPDATE: Part 2 of this essay can be viewed here. You may be jumping the gun. The church is always under assault, right from the beginning. Peter denied Jesus, the twelve ran when Jesus was arrested, Judas betrayed him and stole from the common fund, Thomas doubted, etc. This is not the first nor the last time that the church will be under assault. Jesus promised to be with the church till the end of time, and so it will be. I don’t see how this is “jumping the gun.” Things will get better eventually. That I am sure of. What is important now is proper action in this time for the spiritual protection of our families. Placing our families in liturgically and doctrinally sound parishes is essential to their spiritual well being, while we ride out this current storm. I suppose in some cases what you say is true, but certainly not as a general rule. My parish is by and large sound and vibrant, and there is absolutely no reed to go anywhere. I agree that we must be diligent and continue to shine the light wherever there is confusion and darkness. “WaterAndTheSpiritAplogetics” I am glad you are blessed with a sound and vibrant parish. This is the exception to the norm these days. Count your blessings. 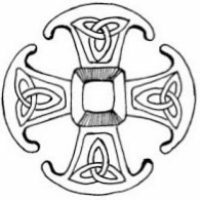 For the NO, latinliturgy.com provides a list of Latin and mixed Latin/English Masses. The list has not been updated in a while, but the last update is more recent than what it states on the website. Other than this I don’t know of anything. Everything is awful, head for the hills, hide in Latin Mass parishes, the sky is falling, the sky is falling!!! You think times.are bad now and the TLM is the answer…remember the Borgias and others. They celebrated a form of the TLM. What sinful, awful people. The TLM was the Mass many of the perverts.of the 50s and early 60’s offered. Holiness is the answer and one can find it in the TLM, NO, the Anglican Use or the many Eastern Church Liturgies. Stop hiding and do something for the Church and not just your family. Obviously, I disagree with you on this. There is one thing that is different now from those times you speak of in the past. Back then, one could still find reverent liturgy and good catechesis even in the midsts of great corruption. These days, that is increasingly becoming more difficult. The Latin mass does provide a refuge for most Catholics, as does Divine Worship of the Anglican Patrimony. Finding it in the Novus Ordo parish is possible, but extremely difficult, and most priests and parish councils will have nothing to do with it. So long as this remains the case, we can’t WAIT on the slow-moving gears of Church history to turn. We have children to raise NOW and they will be grown soon. Catholic parents must do what is right for their children first; the parish comes second for parents. You missed the main point which is in former days even with all the corruption the prelates the church were not trying to corrupt the Faithful by teaching them that something which was sinful was now to be embraced as good. That is the main difference. The faithful have been groomed now to accept sin as good and to believe that what was good previously is now evil and the Bishops are promoting that idea actively in some places and if not actively then by their silence. Even though it’s not all in Latin the Mass celebrated at St. Peter in Omaha, NE is very reverent. We have, and use, a Communion rail and choir loft. All of altar boys are just that-boys (and young men) and will have as many as 16 serving on a Sunday. I pray you will visit us if you’re ever in town. Reverent NO parishes are more common than you think. The TLM and Anglican Use are beginning to bleed over more and more into the Ordinary Form, and for the better. While finding an Ad Orientem NO parish may be rare, I would say the quality of the NO is rising, overall. Wonderful, I hope you’re right. More Catholics should take their families there. I hope to be moving to Ogden, Utah in May and I found a Church out there that had the LM…I’m excited to get back to it. I’ve missed it ever since I was seven. Shane I was born and raised Catholic, I never knew anything but the Novus Ordo. It was so bad that I left the church. This is before the Internet availability we have now, when research was far more difficult and I was more easily discouraged as well. But praise God I came back, and the more I research I do, the more conversation I have with those who remember pre and post Vatican II era, and the latest round of scandals, it becomes very clear….The 1,970 years of Latin Mass certainly had its scandals, even Christ had the Judas scandal….but the Mass still was offered in a pleasing way to God and nourished the faithful and helped them get back on track. The NO was a deliberate attempt to throttle the spiritual life out of the faithful and cut them off from grace. So much was thrown out and inserted and the prayers and rituals so removed certainly seemed oriented toward giving sin and Satan free rein. Why else would one seek to suppress the St Michael prayer, prayers for conversion of Russia, pagans and the Jews, and make the Confiteor optional? Anyway in your LifeSite News article you say “maybe say a Rosary.” No, DEFINITELY say it and say MANY. It’s the only lifeline left when you have been robbed of the true Catholic faith, as our ancestors were during the so called “Reformation” (more like deformation) and Communist persecutions. 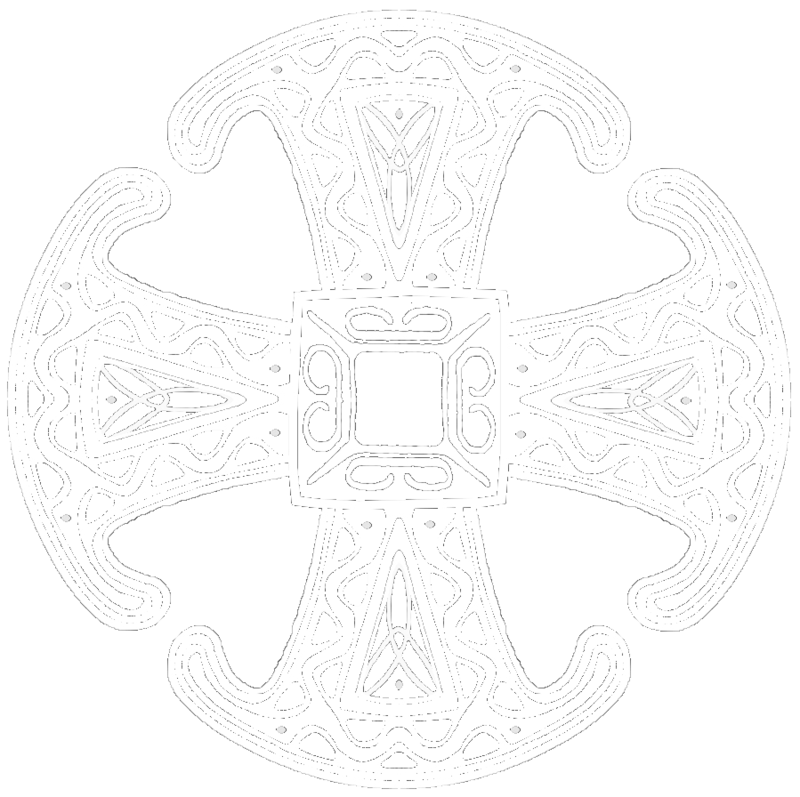 Read Dominus Est and Witness to Hope and Walter Cizeks books, and the lives of English martyrs, we are in the days of schism and persecution and have been for 50 years, it’s just that the ones who are the actual schismatics claim they are Catholic and call true Catholics schismatics. It’s the typical bully and communist MO….persecute the opposition and claim the persecuted ones are the menace. There *are* some reverently celebrated Novus Ordo masses – my former diocesan parish in Tulsa, under Fr. Timothy Davison Sts. Peter and Paul Catholic Church was one. Fr. Davison had three communities there – a very reverent ad orientem NO Mass where reception of the Holy Eucharist was at the altar rail, kneeling and on the tongue; a similar Spanish language NO, and an Extraordinary Form TLM. This was under the auspices and approval of Bp. Edward Slattery – now retired. Fr. Davison has moved back to Ohio to be near his ailing mother who has passed away now. Our current parish, a Dominican order church Blessed Sacrament is almost as good, and is in any case an oasis of reverence and beauty in a liturgical desert in Seattle, is another. But unfortunately we are more and more having to resort to the TLM to get solid orthodox preaching. Look for a nearby FSSP or Institute of Christ the King, or even an SSPX chapel. which has the Vatican’s approval, bear in mind that it is not the real, old pre-conciliar Mass ( Tridentine Mass). There are differences. The SSPX, who have faithfully followed that Mass which was dogmatised by the Pious V, would not have been excommunicated by Paul Vl. Then again, that old revered Mass which I regularly attended until it was taken from me at age of two thirty, constituted the heart of a Church that was rock solid in its teachings and which my fellow Catholics of those times never found a need to question, but instead hastened to defend with great enthusiasm any heresy which accosted it.